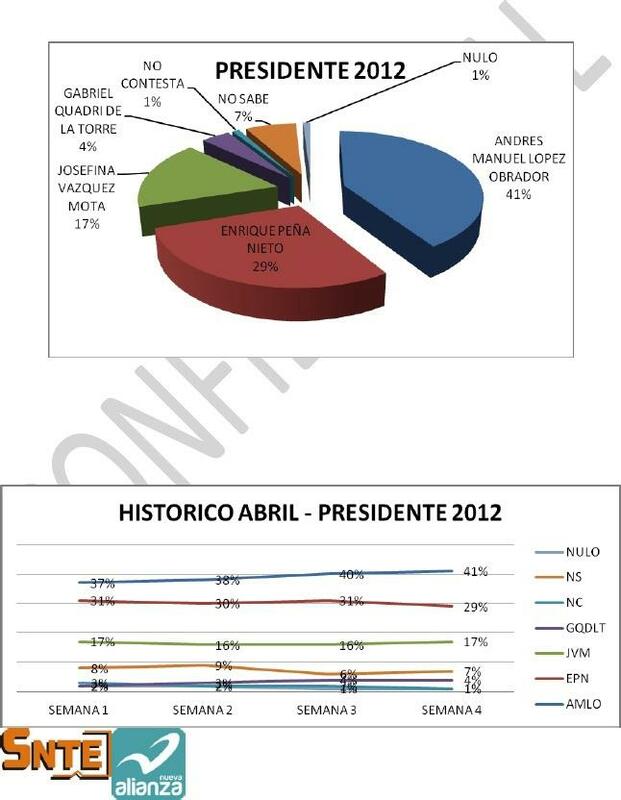 This can’t be right… or rather, it probably is right: internal polling from SNTE, the teacher’s union controlled by Elba Esther Gordillo (aka Señora Hoffa), shows AMLO is the preferred candidate of the union rank and file. Gabriel Quadri does about twice as well in this poll as he does nationally, but even with being Esther’s hand-picked choice to run as presidential candidate in a party supposedly designed to keep SNTE in power (actually, to keep Elba Esther in power, and unindicted) four percent can’t be good. Especially when the union membership is backing the guy who calls Elba Esther a mafiosi and makes attacks on her union a regular part of his stump speeches is polling over 40 percent in a four-candidate field.